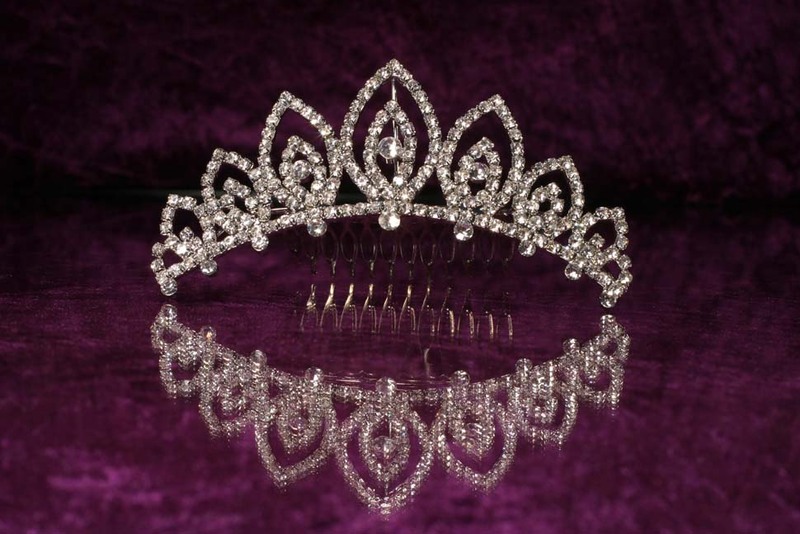 Here we show a special selection of tiaras by other suppliers. 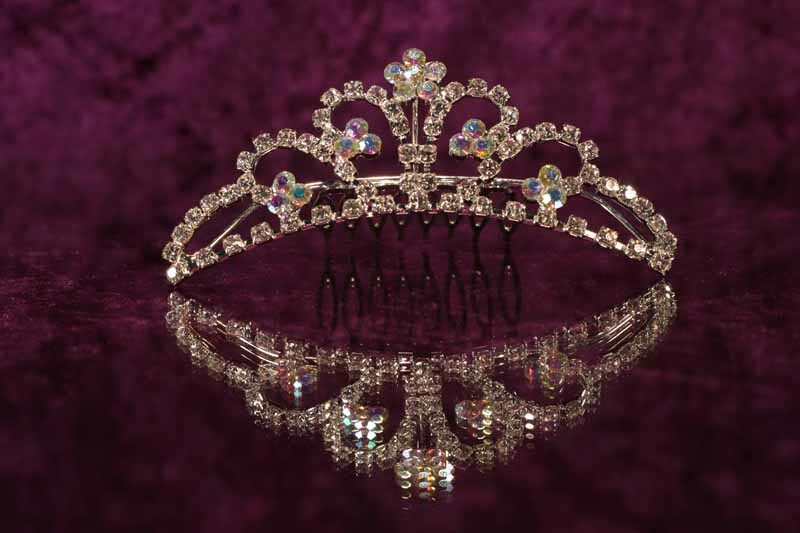 They are carefully chosen to our theme of ‘Putting Sparkle into Special’. 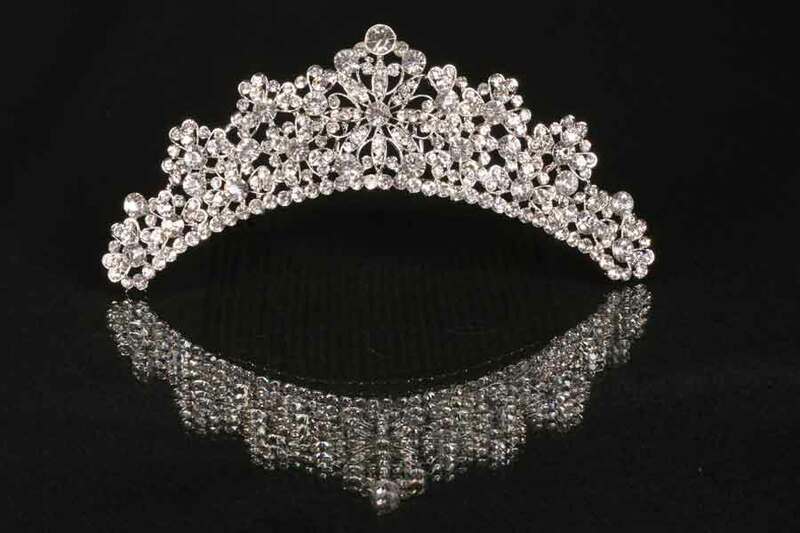 We regularly add to this selection. 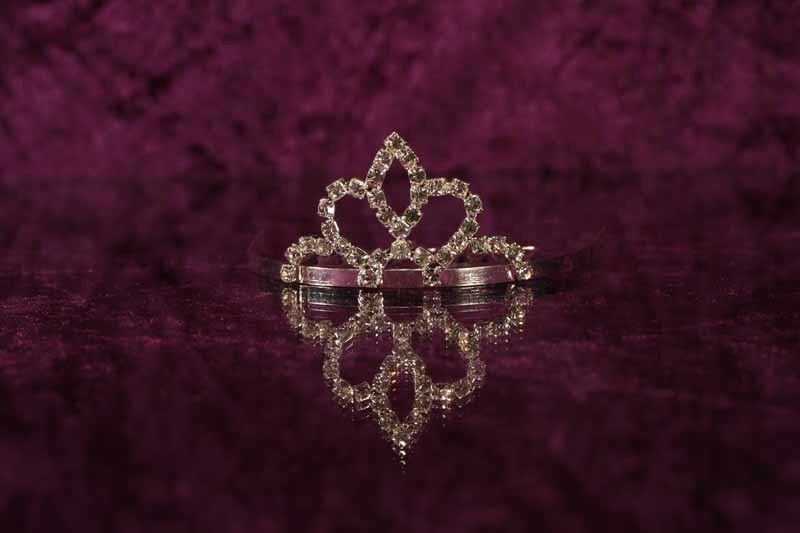 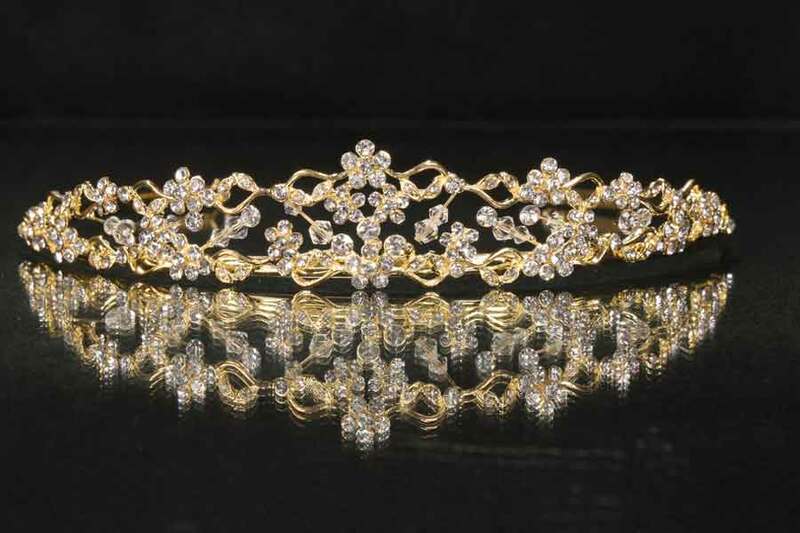 Some tiaras are one only and you can ‘buy now’ others we can order in especially for you. 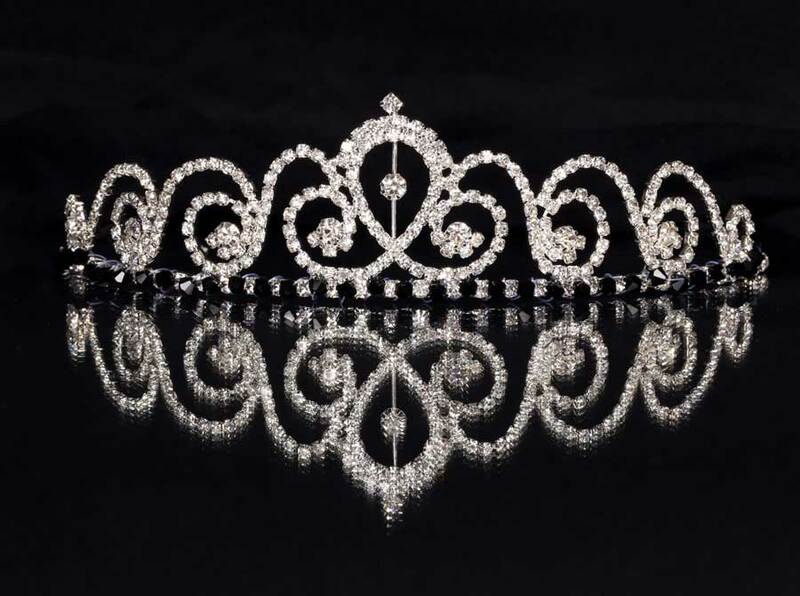 Unlike our bespoke section we are unable to drastically alter the design although we can (if possible- we will advise on practicality and cost) add items. 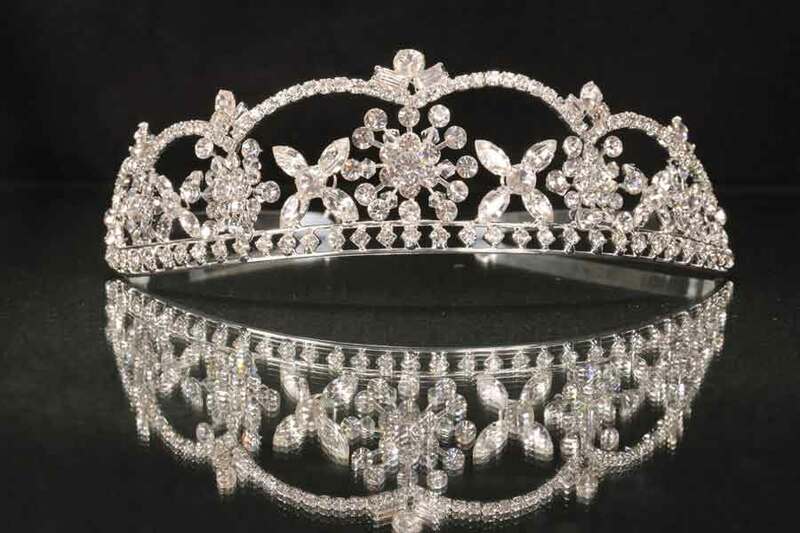 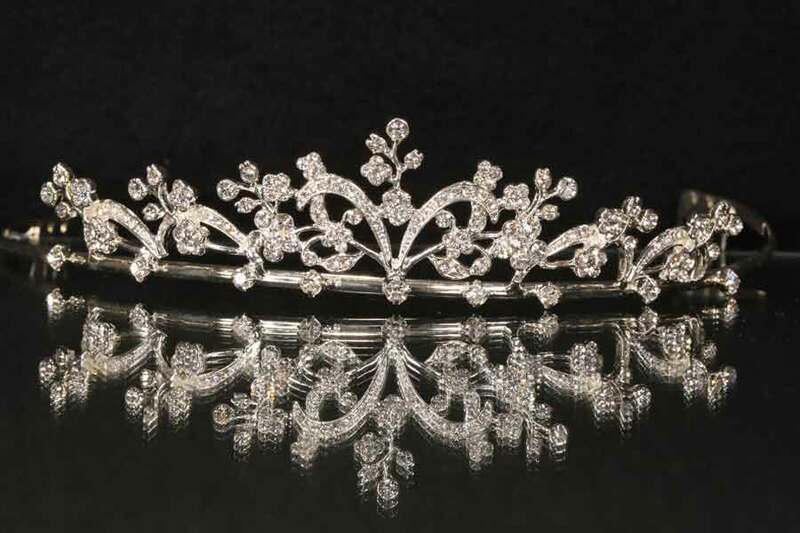 Austrian crystal tiara ideal for bridesmaids. 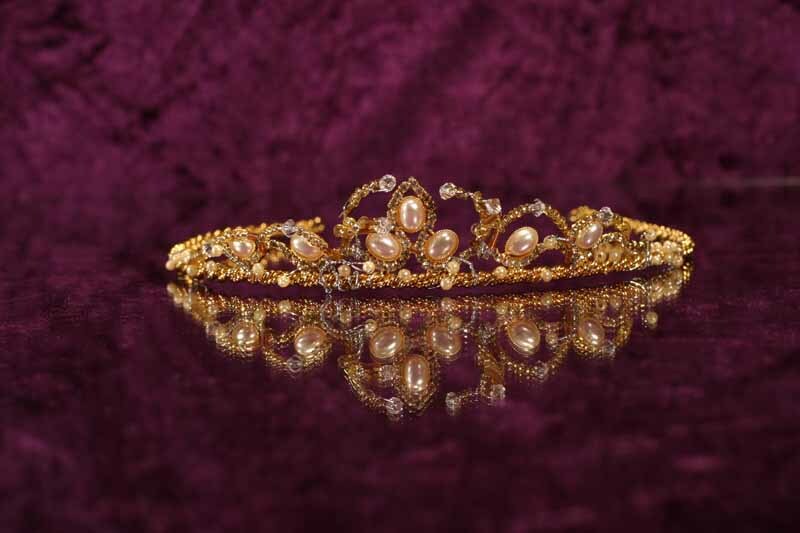 Bridesmaid gold toned tiara with faux pearl. 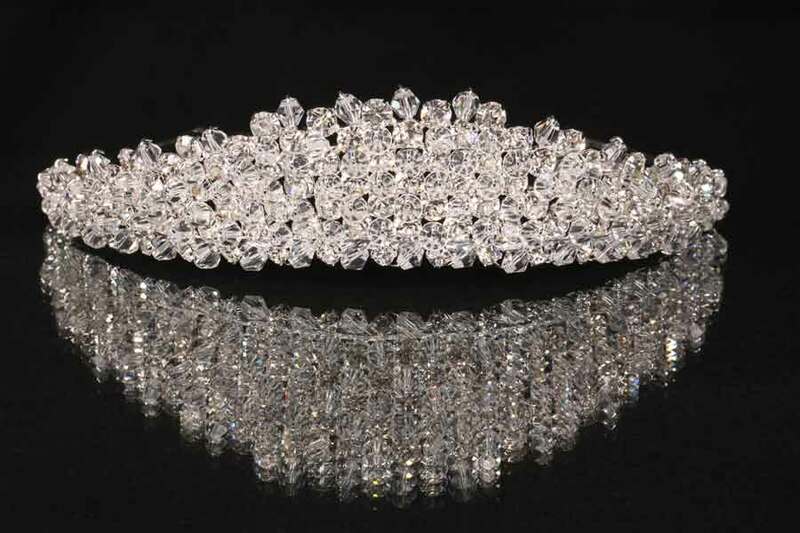 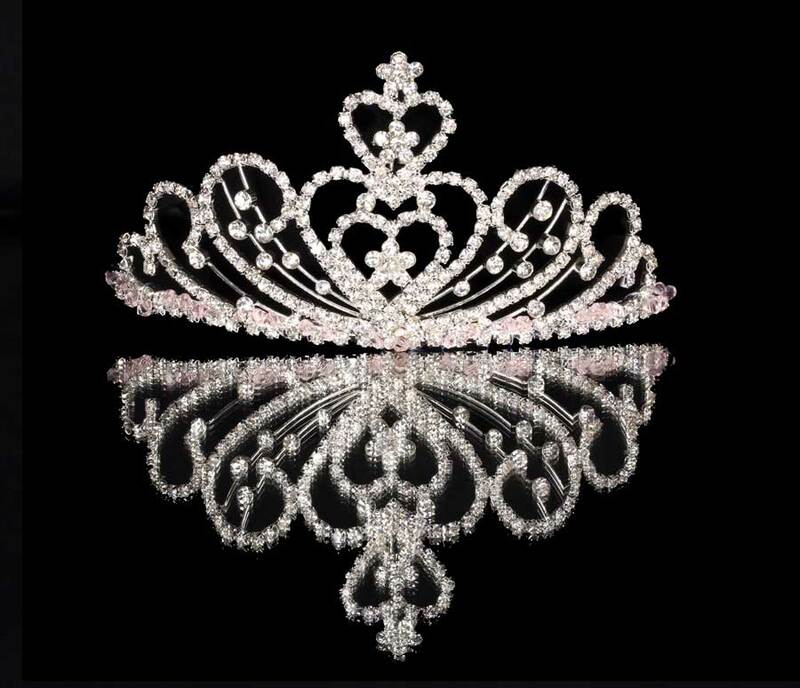 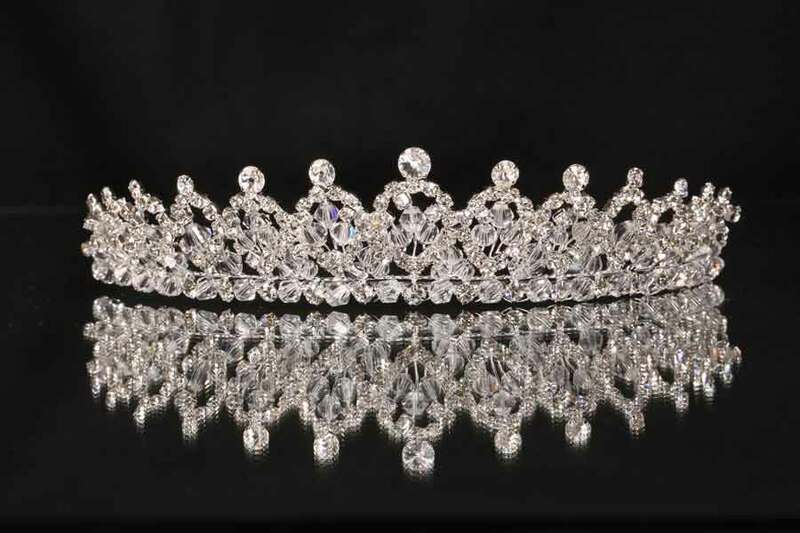 Crystal tiara ideal for Bride, Prom or Pageant.